In announcing the appointment of Joseph Otting to a key treasury job on Monday, the White House Press Office trumpeted his credentials, noting that he was a graduate of the School of Credit and Financial Management at Dartmouth College. But in fact, Dartmouth does not have such a school. "Joseph Otting is not a Dartmouth graduate," Dartmouth spokeswoman Diana Lawrence said Wednesday. "Dartmouth does not have a school of credit and financial management." According to Bloomberg, Otting's biographical information frequently lists him as a Dartmouth graduate, but the School of Credit and Financial Management is actually a continuing-education program for financial executives that once operated on the Dartmouth campus. Otting graduated from the 3-year program in 1992, but it has no affiliation with the college. The White House press office acknowledged its mischaracterization of Otting's credentials in a brief emailed statement Wednesday, saying "Bloomberg’s characterization of Mr. Otting’s credentials is correct." The School of Credit and Financial Management is a program that includes a total of 20 days of instruction - two weeks per year over a 2-year period. It is run by the National Association of Credit Management, which describes itself as "the leader in executive education for the credit and financial management community." It is not a university, and current instructors include no college professors. The program is now held at American University in Washington D.C., though it has no affilation with the school. 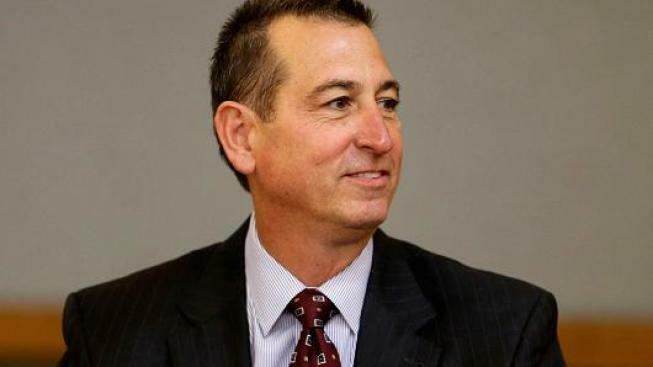 Otting, a former OneWest Bank CEO, was nominated as comptroller of the currency at the U.S. Department of the Treasury. He worked closely with Treasury Secretary Steven Mnuchin during his time at One West. In his new role, Otting is expected to play a significant role in carrying out President Donald Trump's promise to roll back regulations on some of the nation's biggest banks. His nomination must be approved by the Senate. An email sent to the National Association of Credit Management was not immediately returned Thursday. Attempts to reach Otting were also unsuccessful. Katherine Underwood contributed to this report.